A few updates from the subject of yesterdays review, Star Wars: The Clone Wars: Season 4 Episode 19: Massacre. Today I've added the Chant of Resurrection to the Star Wars D/6 Force Section, Army of the Dead to the Star Wars D/6 Characters/Creatures Section, the Baktoid Armor Workshop Multi-Troop Transport (MTT) to the Star Wars D/6 Vehicles Section, and the Haor Chall Engineering C-9979 landing craft and Colla Designs/Phlac-Arphocc Automata Industries Droid tri-fighter to the Star Wars Starships Section of the Site. Like a few times recently, some of these are just updated versions already found on the site, but updated to be more accurate to the source materials. The Tri-Fighter hasn't changed a whole load, but the C-9979 and MTT have a number of updates. A couple of additions to the site from the subject of yesterdays review, Star Wars: The Clone Wars: Season 4 Episode 18: Crisis on Naboo. Today I've added the Rothana Heavy Engineering Acclamator-class assault ship and the SoroSuub Corporation Seraph-class urban landspeeder. Both of these are updated versions of older stats already on the site, and the Acclamator hasn't actually changed very much at all. However I think the changes are worthwhile to make a version more accurate (especially considering how fast it's hyperdrive is really supposed to be, which I totally underestimated originally). Just a couple of additions today from the subject of yesterdays review, Star Wars: The Clone Wars: Season 4 Episode 17: The Box. Today I've added the Electrified laser blade and the Corellidyne Visuals Multispectrum Disguise Suite to the Star Wars D/6 Equipment/Weapons Section of the Site. Just a couple of additions to the site today from the subject of yesterdays review, Star Wars: The Clone Wars: Season 4 Episode 16: Friends and Enemies. Today I've added, Phindians to the Star Wars D/6 Characters Section, and Translating vocoder to the Star Wars D/6 Equipment Section of the Site. A few updates from the subject of yesterdays review, Star Wars: The Clone Wars: Season 4 Episode 15: Deception. Today I've added, a Unidentified medical droid , Facial transformation program, Covert vocal modulation technology and BlasTech Industries DLT-19 heavy blaster rifle to the Star Wars D/6 Equipment/Weapons/Droids Section, and Clone shock trooper to the Star Wars D/6 Characters Section of the Site. And, jumping forwards to Star Wars: Rebels for a moment (since the last few episodes begin broadcasting today), I've also added the Ubrikkian Industries K79-S80 Repulsorlift ground assault vehicle to the Star Wars D/6 Vehicles Section. Which takes the site up to . . . . Yes there are now 5000 sets of stats on the site, for a variety of different games, built up over the 15 years that RPGGamer.org has been operating. The reason I chose the ITT to take us over the 5000 mark, is that I remember this being the first Star Wars Vehicle I lusted over when I was a kid. I wanted it, it looked tough and dangerous, and I always imagined that it would give my heroes a challenge. When I got the RPG, I was always disappointed that this vehicle seemingly had been forgotten about. A few years ago when I last fell away from doing regular updates, I'd started going through vehicles and toys I remembered from my youth, the Star War Mini-Rigs, the Star Destroyers from the Marvel Star Wars Comic, etc. And I had a folder saved to my desktop with images for using for these as I went through them. One of these pictures was of an ITT, and I never got around to using it. So today is also fulfilling a promise I'd made myself to stat it out. PS, I never did get an Imperial Troop Transporter toy for my Star Wars figures. However I do now own a Micro Machines one, so I'm happy. A few updates today from the subject of yesterdays review, Star Wars: The Clone Wars: Season 4 Episode 14: A Friend in Need. Today I've added, Retail Caucus LR-57 combat droid, and the Holotrace device to the Star Wars D/6 Equipment/Droids Section, Carlac to the Star Wars D/6 Planets Section of the Site. Just a couple of updates from the subject of yesterdays review, Star Wars: The Clone Wars: Season 4 Episode 13: Escape from Kadavo. Today I've added, the Zygerrians to the Star Wars D/6 Characters/Species Section, and the MandalMotors HH-87 Starhopper to the Star Wars D/6 Starships Section of the Site. Hello everyone. Been in a slump for a hile now. But recently I got into Battlefront II, and got inspired to try something. These stats, some may already exist, but I was taking a crack at trying to convert and trabslate how they work in the game over to the D6 system, and see if the result would be fun. 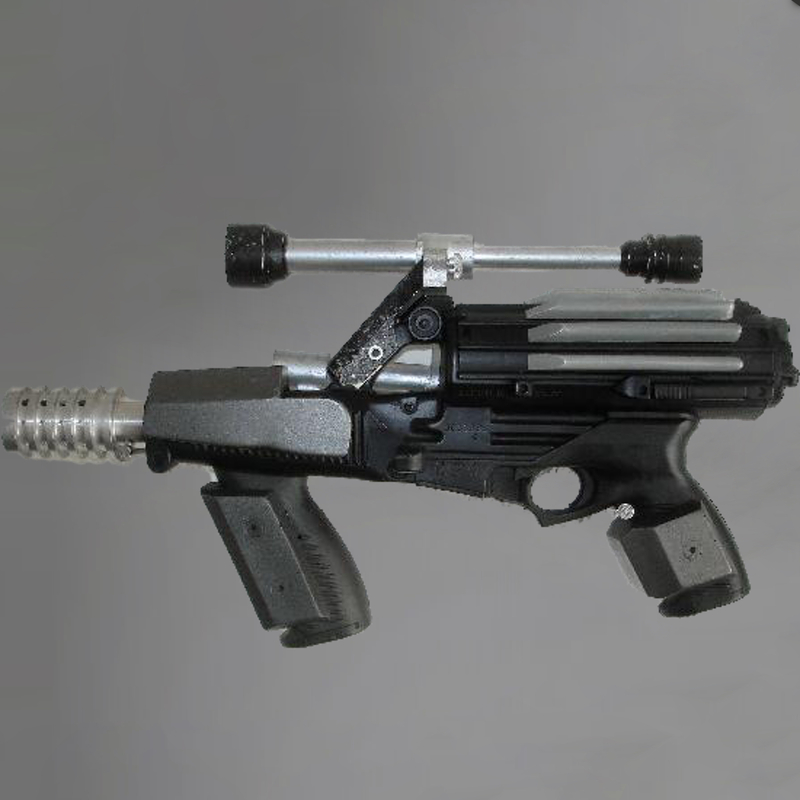 Today we now have the A280 Blaster Rifle, CR-2 Heavy Blaster Pistol (Repeating Blaster Pistol) (my personal favorite), EL-16HFE Blaster Rifle, and the Vanguard Scatter Gun, all in Equipment D6, under "Star Wars Battlefront II" (though I'm thinking of changing that and putting the entries in the general lists with everything else with something like "SWBF2 Conversion" beside the entry names). The A280 has a pre-existing write-up that can be found in the Rebel Alliance Sourcebook, though if you look under "Game Design Notes", I try to give a compelling reason as to why there are two different versions of this weapon. These weapons come from the Assault class. Assault also has about six other weapons, but these all fall under the "default" weapon, and though they look and sound different when played in multiplayer, they all effectively have the same stats in the game. Despite that, some, or all of these I was wanting to take a crack at too, and see if I could give each of them something to make them stand out more. Some of them I may leave alone, like the stormtroopers' E-11, or the First Order stormtroopers' F-11D which Freddy already did, or the Separatists battledroid E-5, or Clone Army DC-15A. I mean, I could do these, but I feel they are exactly what they should be, simple mass produced blasters for the troops. Depends on if I get some ideas for them at some point. The A280C looks promising though. The game also has these abilities in "Star Cards", and I was thinking they could be converted into some kind of gear and equpment, and some of it looks like it would be fun to use in a tabletop game. However, I don't know how much of this I CAN convert. My progress through the game is slow going, mostly because of life and work like anyone else. Assault and Heavy I can do, but Officer and Specialist may be a while, just giving fair warning in case these stop suddenly. As for more stuff from The Last Jedi, I haven't forgotten about the stuff that hasn't been done yet. Just been thinking it over, wondering how Luke and Leia would be different from their Legends versions, and such. Still thinking on it. Here's a video from HISHE, How The Last Jedi Should Hve Ended. While funny, it does leave you wondering how the movie might have been if any of these changes had been made to the plot, if it really would have been better. Enjoy! A few quick updates from the subject of yesterdays review, Star Wars: The Clone Wars: Season 4 Episode 12: Slaves of the Republic. Today I've added Kadavo and Zygerria to the Star Wars D/6 Planets Section, Brezak (Zygerrian gliding lizards) to the Star Wars D/6 Characters/Creatures Section, and Zygerrian blaster rifle to the Star Wars D/6 Equipment/Weapons Section. A bit of a chunky update today, all based on the subject of yesterdays review, Star Wars: The Clone Wars: Season 4 Episode 11: Kidnapped. Today I've added, the Aratech Repulsor Company Biker Advanced Recon Commando speeder and the Aratech Repulsor Company Biker Advanced Recon Commando speeder (wi. Sidecar) to the Star Wars D/6 Vehicles Section, the Thermal annihilator bomb, Zygerrian slaver whip and Colicoids Sniper droideka to the Star Wars D/6 Equipment/Droids Section, the Corellian Engineering Corp YV-865 Aurore-class freighter to the Star Wars D/6 Starships Section, Kiros to the Star Wars D/6 Planets Section, and the Kiros bird to the Star Wars Characters/Creatures Section of the Site. A wee bunch of updates from the subject of yesterdays review, Star Wars: The Clone Wars: Season 4 Episode 10: Carnage of Krell. Today I've added, the Umbaran support ship to the Star Wars D/6 Starships Section, Merr-Sonn Munitions, Inc. / Tagge Company Stun Cuffs to the Star Wars D/6 Equipment Section, and the Banshee, Besalisk, Pong Krell (Besalisk Jedi Master) and Umbaran Militia to the Star Wars D/6 Characters/Creatures Section of the Site. A few updates from the subject of yesterdays review, Star Wars: The Clone Wars: Season 4 Episode 9: Plan of Dissent. Today I've added the Separatist supply ship and the Incom Corporation / Subpro Corporation Clone Z-95 starfighter to the Star Wars D/6 Starships Section, and the Kuat Drive Yards All Terrain Recon Transport (AT-RT) to the Star Wars D/6 Vehicles Section of the Site. After a couple of days off for my birthday, a few updates from subject of the last review, Star Wars: The Clone Wars: Season 4 Episode 8: The General. Today I've added, the Umbaran Impeding Assault Crawler Tank and the Umbaran Mobile Heavy Cannon (MHC Tank) to the Star Wars D/6 Vehicles Section, and Umbara to the Star Wars D/6 Planets Section of the Site. A wee bundle of updates from the subject of yesterdays review, Star Wars: The Clone Wars: Season 4 Episode 7: Darkness on Umbara. 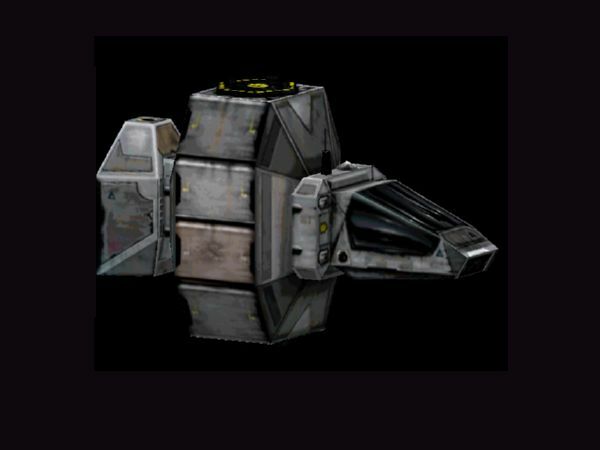 Today I've added the Umbaran Militia Protective Suit,Umbaran Millicreep Assassin Droid and Umbaran blaster rifle to the Star Wars D/6 Equipment/Weapons Section, the Umbaran hover tank to the Star Wars D/6 Vehicles Section, and the Umbaran starfighter to the Star Wars D/6 Starships Section of the Site. While writing up the Umbaran Armour, I was reading up on Clone Trooper and Storm Trooper Armour and spotted a couple of things I'd never noticed before about the Standard set of Storm Trooper armour. Firstly, it's described as "Although this armor provided less protection from blaster weapons than wartime Phase I and Phase II armor, it offered superior protection from the elements. ", which puts a mockery to any stats I've made up for Clone Trooper Armour, as I've usually made them weaker, so there is an evolution from Clone Trooper Phase 1, through to First Order Storm Trooper Armour. Secondly, "Other features of the armor included:" . . . "A personal energy shield for use during combat. This was specifically issued towards Stormtrooper commanders of particularly high value. ", which came as hell of a shock to me, as I was totally unaware of Storm Troopers with force shields. Guess I'll have to revisit the Storm Trooper Armour for new Stats sometime soon.